New Delhi: India’s Telecom commission will meet again next Friday to discuss proposals from the country’s telecom regulator on pricing of second-generation spectrum and mergers and acquisitions in the sector , a senior government official said. Chandrashekhar added that the commission was hopeful of completing discussions when it meets on 9 Dec but would not “rush in" to a decision. Last month, the Telecom Regulatory Authority of India (TRAI) proposed a relaxation of rules for M&A in the telecoms sector in a move to facilitate a long-awaited consolidation in the 15-player market, among other recommendations. 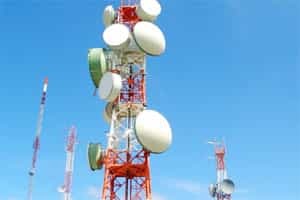 Earlier this year, the regulator proposed steep increases in spectrum prices and a one-time fee on spectrum beyond 6.2 megahertz, drawing howls of protest from firms. Mumbai : India’s National Housing Bank is planning to raise at least ₹ 250 crore via 3-year bonds with a 13 month put/call at 9.49%, a company source with direct knowledge of the deal told Reuters on Friday. Athens: The euro zone must deal more effectively with its growing debt crisis, Greek Prime Minister Lucas Papademos said ahead of a 9 Dec. summit of EU leaders. “It is important that the spread of the crisis in the euro zone is dealt with effectively, with greater progress in fiscal convergence and a bolstering of the economic governance in Europe," Papademos told lawmakers. Washington : The US is the largest donor in Pakistan and has provided over $1.1 billion to Islamabad as civilian assistance in 2011, according to a White House fact sheet. “US is the largest bilateral donor in Pakistan. We provided $1.1 billion in 2011 as civilian assistance to help the country address energy challenges, foster economic growth, stabilise border regions and improve civilian governance," the White House said yesterday. Islamabad: Amid controversy over a secret memo purportedly sent by Pakistan government to the US fearing an army takeover, Premier Yousuf Raza Gilani has ruled out the threat of either a “judicial" or “military" coup, saying the two institutions did not want to derail the democratic system. Gilani made the remarks while participating in the programme “Prime Minister Online" on state-run PTV last night. He was responding to questions related to possible strains between the PPP-led civilian government on one side and the judiciary and military on the other. Gilani contended that the government, military and ISI were on the same page on the issue of the controversial secret memorandum sent to the US military in the wake of the killing of Osama bin Laden by American forces in Abbottabad on 2 May. There will be a joint reply from the government and army to the Supreme Court on the memo issue, he said. Beijing: Chinese home prices are at a turning point and banks are concerned about a possible “chain reaction" if they were to fall by 20%, the central bank said on Friday. “Real estate investment growth eased, developers’ cash flows tightened, land transactions and prices fell, property loan growth moderated and there are early signs that property prices are at a turning point," the People’s Bank of China said in a statement published on its website. Beijing: Europe cannot expect China to use a big portion of its $3.2 trillion foreign exchange reserves to rescue indebted nations, a top Chinese foreign ministry official said on Friday, Beijing’s strongest rebuttal yet to suggestions it should bail out the euro zone. Vice foreign minister Fu Ying said at a forum that the argument that China should rescue Europe does not stand and that Europeans may have misunderstood how China manages its reserves. She did not explicitly rule out using part of China’s reserves for more targeted measures, but implied China was not going to ride in with a big chunk of its “savings" and bail out crisis-stricken Europe. “We cannot use this money domestically to alleviate poverty," Fu said. “We also can’t take this money abroad for development support." Dublin: Bank of Ireland met its end-year recapitalisation target on Friday after it bought back outstanding securitised bonds consolidated on the group’s balance sheet at a discount, resulting in a capital gain of €350 million ($471.45 million). Bank of Ireland was ordered in March to raise an additional €4.2 billion in core Tier 1 capital to bullet-proof its balance sheet against future property-related losses following tough, fresh stress tests. In a separate move to raise additional capital, Ireland’s finance minister Michael Noonan said last week he was considering wiping out the value of some junior bonds in Bank of Ireland by applying to the courts to use emergency powers the state has deployed to impose losses on bondholders at other banks.